That invention is surprisingly recent: Epstein traces its origins to the discovery of massive diamond mines in South Africa in the late 19th century, which for the first time flooded world markets with diamonds. 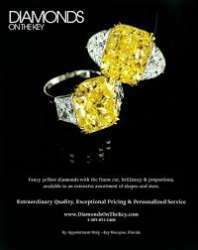 The British businessmen operating the South African mines recognized that only by maintaining the fiction that diamonds were scarce and inherently valuable could they protect their investments and buoy diamond prices. 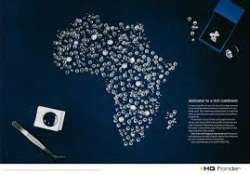 They did so by launching a South Africa–based cartel, De Beers Consolidated Mines, Ltd. (now De Beers), in 1888, and meticulously extending the company’s control over all facets of the diamond trade in the ensuing decades. 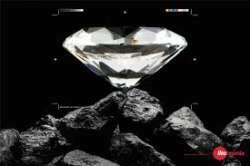 Most remarkably, De Beers manipulated not just supply but demand. In 1938, amid the ravages of the Depression and the rumblings of war, Harry Oppenheimer, the De Beers founder’s son, recruited the New York–based ad agency N.W. 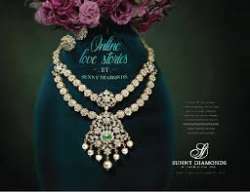 Ayer to burnish the image of diamonds in the United States, where the practice of giving diamond engagement rings had been unevenly gaining traction for years, but where the diamonds sold were increasingly small and low-quality.